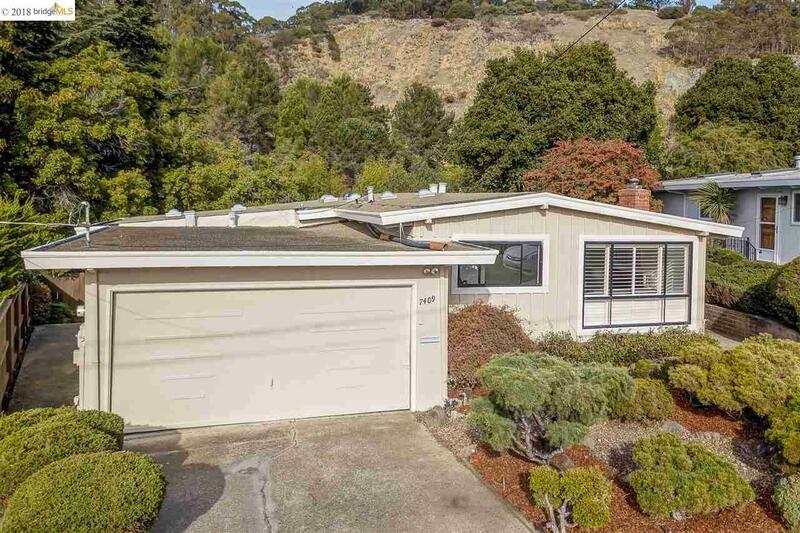 This spacious three bedroom, two bathroom, one-level Midcentury-style home is on a quiet cul-de-sac close to the hiking trails of the Hillside Natural Area, and five minutes to the El Cerrito Plaza BART station and Plaza shopping. Enjoy a convenient floor plan that offers a lovely living room/dining room combo with a fireplace, an updated kitchen with tile counters, a master suite, and a large family room with ample storage and sliding glass to doors to a rear deck and backyard. The interior also features exposed wood and beamed ceilings and lovely wood floors. The exterior grounds are generous and include a two tier rear yard with a private space that allows for an opportunity to create a special place or garden.